Guys. It's spring. And we are living outside. Want to see where we are spending so much time on our front porch?! This springtime post is sponsored by my friends at Wayfair. 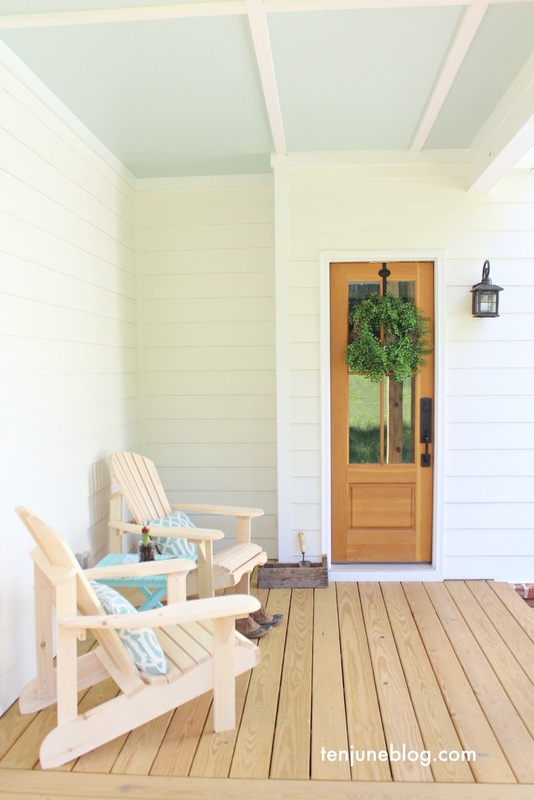 Come on over, kick off your shoes, grab a lemonade and let's take a tour of our front porch and how it's looking these days. On the far end of the porch, we've got a little side door that we call a "friends entrance" or an informal entrance (ie. not the big, double front door). The space in front of this door has been empty since we moved in, but it was begging for some chairs and a space to take off our muddy boots as we go in and out of the house. 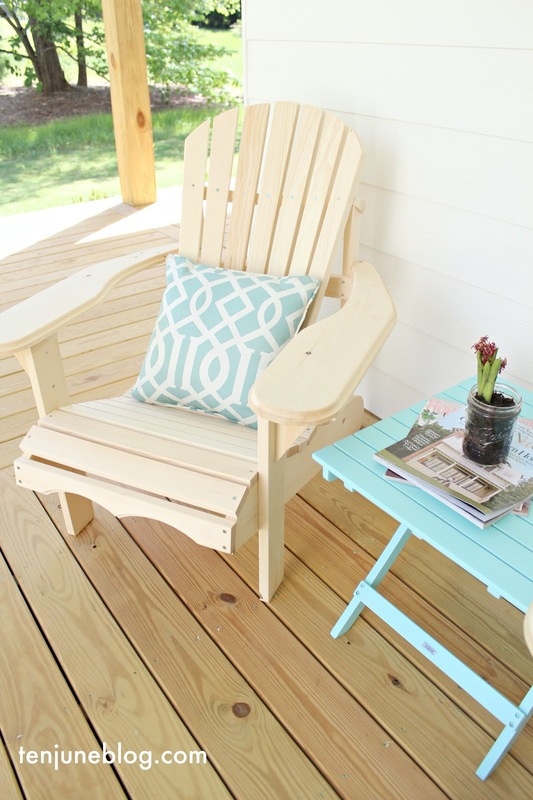 Enter these fun adirondack chairs and this mint green outdoor side table. I had big plans to stain these chairs a medium toned brown (or paint them black) but then I set them up on the porch and kind of loved how the natural vibe matched the wood tones of our porch. So I added a couple of new pillows and this adorable little mint table (which sort of matches our haint blue porch ceiling!) and voila. The perfect place to hang before you head into the friends entrance (which enters into our mudroom). On the front side of the porch, we added these new black rocking chairs. We loooooove them. That's an understatement, actually. We looooooooooooooooooove ythem. They really make all my little farmhouse front porch dreams come true, don't you think?! Over on the other side porch (yes, this big ol' porch wraps around half the house! 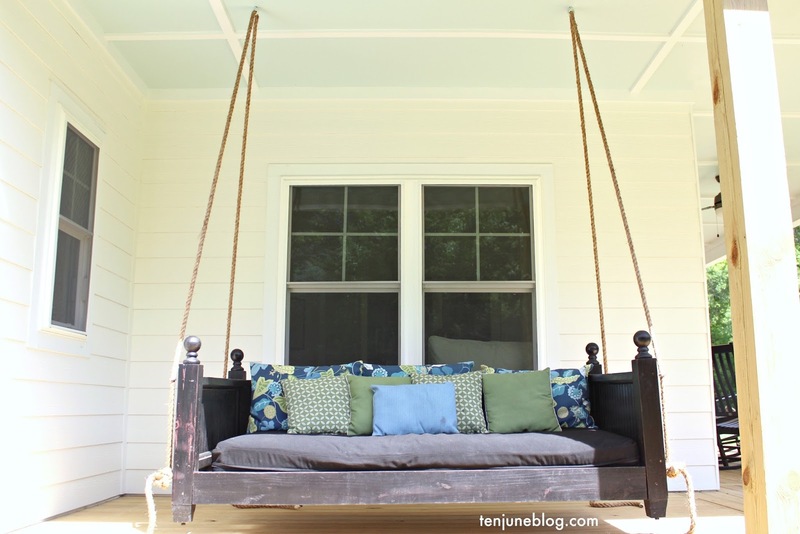 ), we set up a porch swing bed! Isn't it amazing?! Some of our nearest and dearest friends shared this amazing piece with us as they didn't have a home for it. Such a sweet gesture and something we remember every time we swing. We've already spent countless hours relaxing out here during the day or watching the stars at night. It's so lovely! 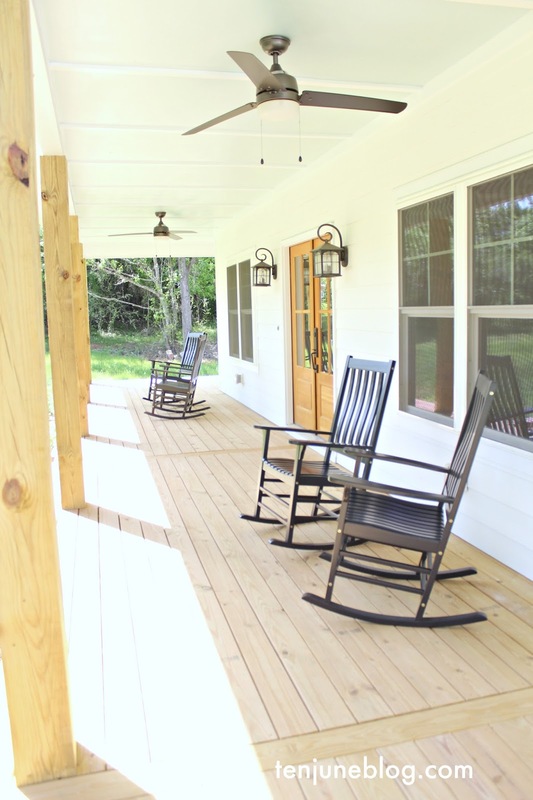 For more information on our front porch (all sources, paint colors, etc) check out this post. Head on over to Wayfair to check out their patio furniture for all of your front-porch sittin' needs! 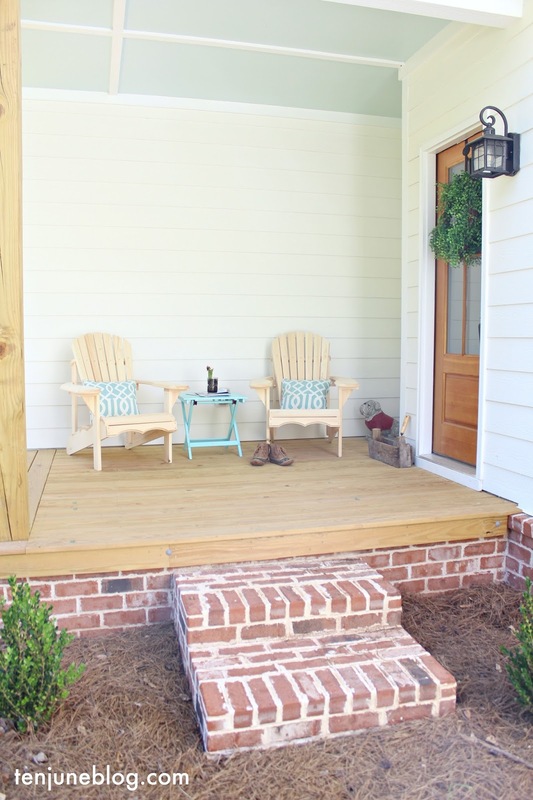 Cute porch updates! We've been teased with warmer weather in the Chicagoland area and I'm tempted to start pulling out our furniture too. Everything looks beautiful! I love the rocking chairs! And that BED! OMG I'm so jealous. We need to pull the front porch together this year, but it gets so windy that my rocker was too light. Need to find something heavier.